In an off-season filled with too many negative stories to keep track of, one of the bright spots is the return of Michigan State sophomore Miles Bridges. To most, his decision to return to school forgoing (or at least delaying) millions of dollars was irrational, but as Carvell Wallace notes Bridges does have his reasons to return for at least one more season. While we still can’t say that we agree with his decision it does provide a better rationalization than we have seen elsewhere and gives good insight into who Bridges is. On Tuesday we mentioned that Bruce Pearl‘s job might not be secure, but we had no idea that the next day news would come out that he was refusing to cooperate with Auburn and its investigation into the FBI allegations. If that is true and Pearl continues to refuse to cooperate with the administration we do not understand how he can stay on at the school. Pearl is a good coach, but not nearly good enough to compensate for a mediocre performance at the school with a show-cause in his recent past and his unwillingness to work with the school in a federal investigation. Compared to the other legal issues we have seen around college basketball lately the misdemeanor charges filed against Connecticut junior Jalen Adams seem pretty trivial. Adams, who averaged 14.4 points and 6.1 assists per game last season, has been charged with a misdemeanor for leaving the scene of an accident after he crashed his scooter into another scooter during an on-campus race. Unless he has had disciplinary issues in the past that we are not aware of we expect that Adams won’t face any significant punishment. When North Carolina defended its basketball program by saying that the student-athletes had not been granted special privileges because the fraudulent classes they had taken were available to all students we wondered when its academic accrediting body would come around questioning its academic standards. It looks like that day might be coming soon as The News & Observer (the paper that led the investigation into the scandal) reported that accrediting body is taking a deeper look into the school. We doubt that the school will face any major penalties, but it seems odd that the school defended its basketball program by throwing itself under the bus. 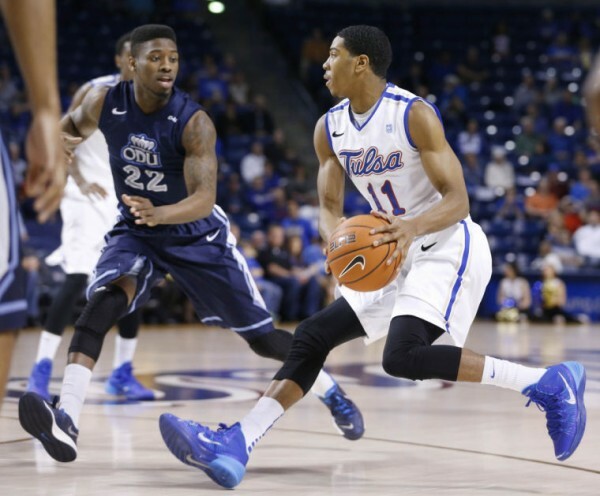 The suspensions of Josh Okogie and Tadric Jackson got more complex on Tuesday when Gary Parrish reported that Ron Bell (a former friend of Josh Pastner) was the individual who provided the players with the impermissible benefits. We are struggling to understand why Bell would turn on Pastner, a man he says saved his life when he was dealing with drug addiction, but it does appear that Bell has solid evidence of providing benefits to the two players and speaking extensively with Pastner on October 2, the day that the school announced the suspensions. The school has not given much in the way of a response to these allegations and it is unlikely that Pastner will face any long-term consequences from this (other than maybe his reputation within coaching circles), but we are almost certain that the people who will be affected by this the most are Okogie and Jackson. As the mid-major conference tournaments excite and entertain college basketball fans everywhere this week, teams on the bubble correspondingly shake in fear as coveted NCAA Tournament spots are snagged by pesky bid thieves. Northern Iowa (MVC), Iona (MAAC) and Green Bay (Horizon) have already collected conference tournament victories that are likely to impact the bubble equation. Power conference teams residing on the bubble still have some control over their destiny, as they are inevitably presented with multiple opportunities to bolster their resumes without having to win an entire tournament. 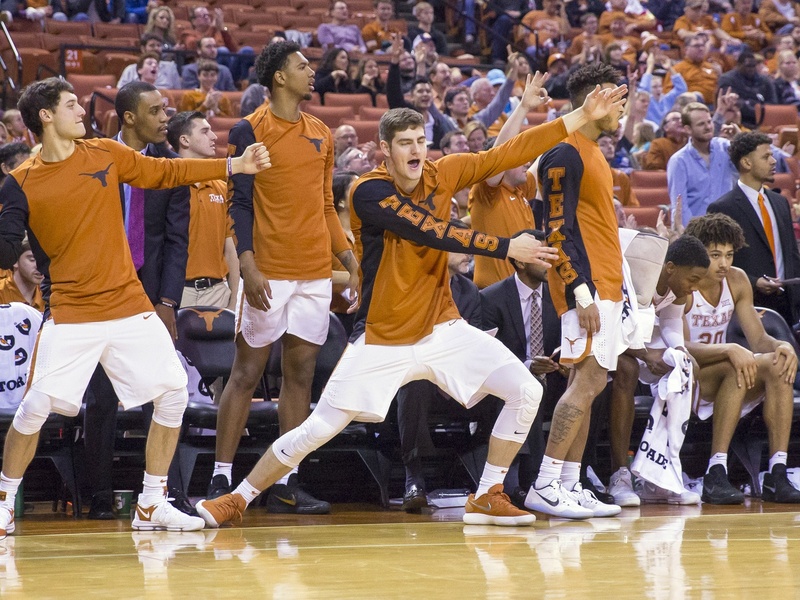 A single victory over a fellow bubble team or an upset of a highly-ranked conference foe can provide the boost needed to rest a lot easier on Selection Sunday. Chances will vary for each of the following bubble teams, but here a few teams in need of victories this week along with a path with which to do so. 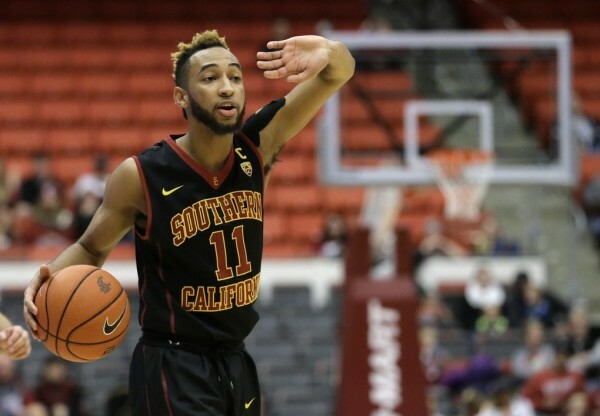 On January 13, USC was 15-3 with wins over Arizona and UCLA in Pac-12 play along with non-conference wins over Monmouth, Wichita State and Yale. The wheels have since fallen off the Trojans, as Andy Enfield’s squad lost eight of its final 13 games to plant itself firmly on the bubble. The rigors of conference play hit his squad harder than expected, knocking the Trojans right to the edge of the NCAA Tournament. USC begins this week’s Pac-12 Tournament with its bid-clinching work clearly laid out ahead of it. Wins over UCLA (which they swept this season) in the first round and Utah (RPI #8) in the quarterfinals would safely launch the Trojans into the field. As we enter February and March looms large, the identities of teams begin to crystallize both on the floor and in our minds. Sure, things can always change, but with over 20 games for most teams already in the books, it’s safe to say we know who these teams are. But those assumptions aren’t always right. Due to scheduling oddities, injuries or just plain poor judgment, the conventional wisdom on certain teams isn’t necessarily correct. So here is a rundown of several teams that are likely to be exposed as either underrated or overrated as we enter the stretch run of the regular season. Providence (18-5), ranked #11 — The AP Poll will tell you that the Friars are #11 in the country. 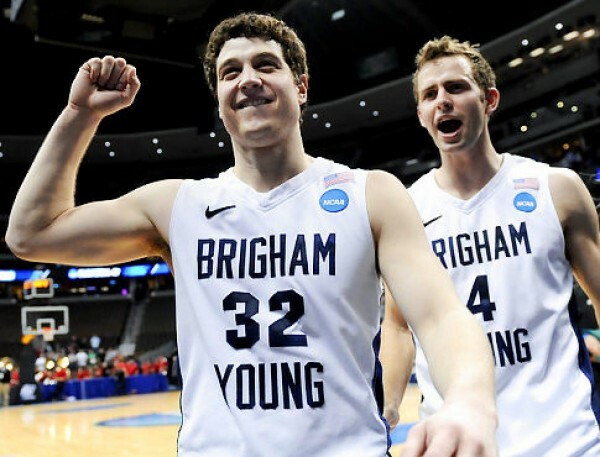 Joe Lunardi will tell you they’re a #4 seed. But we’re here to tell you they aren’t that great (ed. note: this was written before last night’s loss at DePaul). For a team led by the great Kris Dunn, Providence is a shockingly bad offensive team, with an offensive efficiency that ranks just 118th nationally. Moreover, of its six Big East wins, five have been by four points or fewer or came in overtime. That probably means that Dunn is clutch and the Friars know how to win close games, but it also means that they’re keeping games closer than a borderline top 10 team should. This is reflected in the Friars’ low KenPom ranking of #47 (it was #39 prior to the DePaul game). Besides, as talented as this team is, Ed Cooley has never lacked for talent. What he has lacked is success. Don’t be surprised if that trend continues down the stretch. Pittsburgh (17-4), unranked — Three weeks ago, the Panthers were 14-1, ranked #20 in the national polls and had the nation’s fourth most efficient offense. Six games later, that offense has fallen to 19th in efficiency and the Panthers are simultaneously falling off the map. Aside from an 18-point loss at Louisville, Pitt has yet to play any of the ACC elites, and should count itself extremely lucky to be 6-3 including close wins against Georgia Tech and Florida State. However, the good teams are coming. The Panthers will play Virginia, North Carolina, Miami, Duke and Louisville in February. Their current best win is one of games at home to Syracuse or at Notre Dame, but more wins are going to be hard to find down the stretch. The Panthers could see themselves on the bubble very soon. As Connecticut prepared to wrap up non-conference play this week, the Huskies suffered a key loss as center and defensive stalwart Amida Brimah broke his finger in practice. Brimah’s injury will require surgery and cause the junior to be sidelined for six to eight weeks. As one of the best rim protectors in college basketball, his loss will be tough to overcome. The hope for Kevin Ollie is that his team’s depth will find a way to pick up the slack heading into next week’s game at Texas followed by the start of conference play. 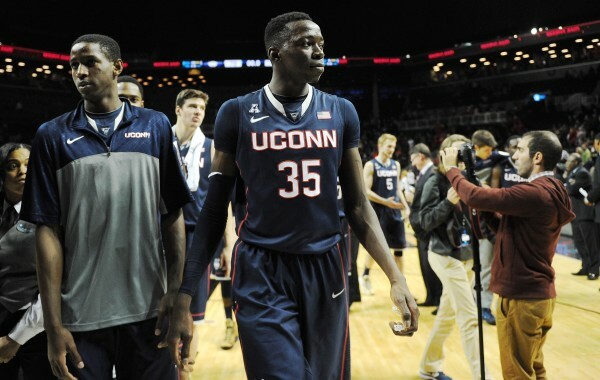 So where does UConn go from here? Standing at 8-3 with a couple quality wins over Michigan and Ohio State but not much else to show for this season, the Huskies will need to put together a strong performance in the American if they want to get back to the NCAA Tournament. Here are two areas where Ollie must focus on improvement. 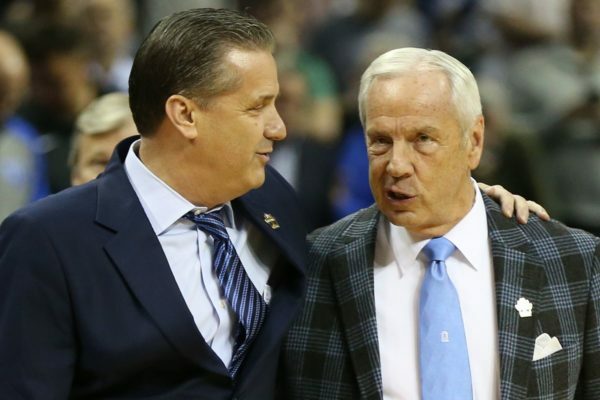 One of the more controversial aspects of the NCAA suspending a coach is that he is not allowed to directly communicate with his assistants or players during the suspension. That does not mean that the coach cannot speak publicly about the team and make whatever observations he wants to listeners. For example, Jim Boeheim, who is currently serving part of a nine-game suspension, is still allowed to talk on the radio (or any other medium) and his assistants and players can listen (like he did here). The only stipulation to this is that the assistants and coaches are not supposed to be doing anything different than before meaning that they are only supposed to listen if they listened before. Obviously, this is essentially impossible to enforce, which has led to some of the NCAA’s critics to point it out as another ridiculous way the NCAA works. That may be true, but there is no way around it since the NCAA can’t prevent an individual from speaking publicly and if they did there would be an even bigger uproar. Avery Johnson’s first season as a college basketball coach just got a lot tougher as Alabama announced that freshman starting point guard Dazon Ingram will miss the rest of the season after fracturing his left foot. Ingram, who helped lead the Tide to a 5-2 start, was averaging 7.7 points, a team-leading 5.9 rebounds, a team-leading 3.3 assists, and 1.1 steals per game. With Ingram out, Alabama is expected to use a point guard by committee. Alabama wasn’t going to contend for the SEC title, but they did have a couple of nice early wins (against Wichita State and Notre Dame). We are hesitant to say that Kentucky is struggling when they are still one of the top teams in the country, but that are not at the point that many observers expected them to be at this point in the season. This is probably more a reflection of the unrealistic expectation on them than actual underachievement, but help might be on the way in the form of Tai Wynyard. The 6’9″ freshman from New Zealand is set to enroll on December 18 and he could be able to play as early as their game against Louisville on December 26 although John Calipari is not ruling out the possibility that he could redshirt. This week’s edition of the Power Rankings, Luke Winn looks at his usual variety of data (apparently no themes yet this year), but the thing that jumped out at us was just how effective Michigan State was at off-dribble jumpers. 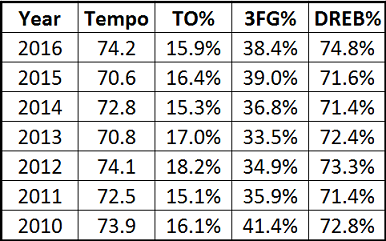 As Luke points out, these are usually much less effective than catch-and-shoot jumpers, but through ten games this season the Spartans are making them at a remarkably high clip. However, as last season’s data shows this is extremely unusual, which would seem to indicate that they should be experience a return to a more normal range pretty soon. Former Connecticut star Tate George is being sentenced this week for his role in a $7 million Ponzi scheme. George, who is best known for hitting a last-second buzzer-beater in the 1990 Sweet 16 against Clemson (to get the Huskies to the Elite 8 where Christian Laettner hit his “other” Elite 8 buzzer-beater), has been in prison without bail since his conviction more than two years ago and will be representing himself after firing two of his lawyers. George faces up to nine years in prison if he is convicted on all counts. At the hearing, George claimed there was no crime because the investors could get all their money back if the projects become successful. Somehow we doubt that argument will work.